This week we rolled out an update to our iOS app which includes a range of fixes and improvements.The main fix is for broadcasters. We’ve completely re-written the broadcast engine which means more efficient and reliable broadcasting from your iOS device, especially in low internet conditions. – Updated internal live broadcasting code to use less bandwidth, be more efficient and broadcast higher quality audio. – Fixed issues relating to iOS broadcasts not working on other iOS devices. – Chat messages containing certain characters will no longer be truncated in the app. If you’ve got feedback or think we could make Mixlr for iOS better, let us know by getting in touch via our support centre. Thanks for the getting in touch, would you mind getting in touch at mixlr.com/help/contact with more information on your device? I get emails from you telling me that the Fort Pierce police are online. I click the link. It is a link to nothing! 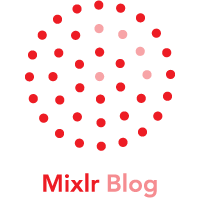 Hi Ellen, would you mind getting in touch with our support team at mixlr.com/help/contact? The device of choice that I enjoyed listening to Mixlr is an Apple iPod. It does not allow me to update to 7.0 iOS. Is there anyway the app will allow me to download to previous app when disallowed to download updated version?